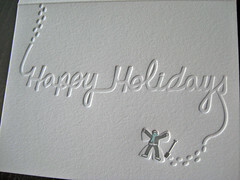 A snow angel and winter time fun fill this special greeting card. We absolutely love holiday cards that are universal and I don’t think there’s anyone whose enjoyed a snow day who wouldn’t enjoy this holiday card. 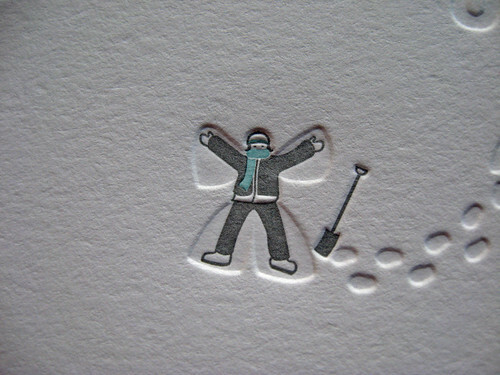 Nothing beats a snow day – no school + tons of fresh snow + your imagination = a lot of fun! 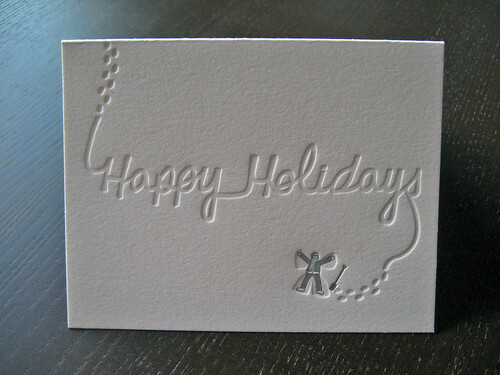 Check out these and our other holiday cards in the online shop. 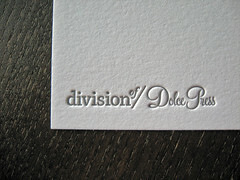 Design and print in collaboration with DivisionOf/. 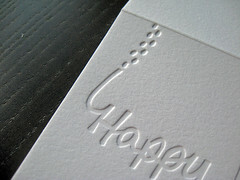 These letterpress holiday cards were printed on a Vandercook Proof Press in three colors – silver, pale blue, and blind. 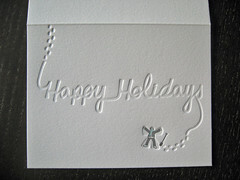 We used the blind impression to highlight the shoveled path and tied that into the text (“Happy Holidays”) with some footprints. 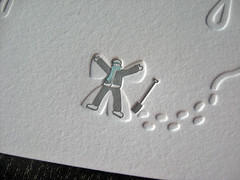 The cards are printed and scored on 110# Crane’s Lettra and are A2 (4.25″ x 5.5″ folded) size. They’re sold as a box set with 6 cards and envelopes for $18. 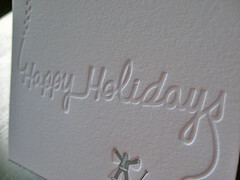 It’s the last day to vote and comment on our Word Search holiday cards in the Uncommon Goods card contest. We really appreciate everyone’s support!